Draft: 1984, Chicago Cubs, 6th rd. July 5, 2012 LHP Jamie Moyer roster status changed by Las Vegas 51s. June 28, 2012 LHP Jamie Moyer assigned to Las Vegas 51s. June 27, 2012 Toronto Blue Jays signed free agent LHP Jamie Moyer to a minor league contract. June 23, 2012 Norfolk Tides released LHP Jamie Moyer. June 9, 2012 Baltimore Orioles signed free agent LHP Jamie Moyer to a minor league contract. June 9, 2012 LHP Jamie Moyer assigned to Norfolk Tides. June 1, 2012 Colorado Rockies released LHP Jamie Moyer. May 30, 2012 Colorado Rockies designated LHP Jamie Moyer for assignment. April 4, 2012 Colorado Rockies selected the contract of Jamie Moyer from Colorado Springs Sky Sox. April 4, 2012 Colorado Rockies activated LHP Jamie Moyer. January 18, 2012 Colorado Rockies signed free agent LHP Jamie Moyer to a minor league contract and invited him to spring training. January 18, 2012 Jamie Moyer assigned to Colorado Springs Sky Sox. November 7, 2010 Leones del Escogido placed LHP Jamie Moyer on the reserve list. 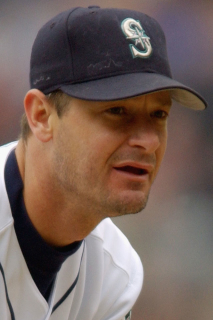 October 28, 2010 LHP Jamie Moyer elected free agency. October 26, 2010 LHP Jamie Moyer assigned to Leones del Escogido. September 6, 2010 Philadelphia Phillies transferred LHP Jamie Moyer from the 15-day disabled list to the 60-day disabled list. July 26, 2010 Philadelphia Phillies placed LHP Jamie Moyer on the 15-day disabled list retroactive to July 21, 2010. Sprained left elbow. July 24, 2010 Jamie Moyer assigned to Philadelphia Phillies. July 21, 2010 Jamie Moyer roster status changed by Philadelphia Phillies. November 9, 2009 Philadelphia Phillies activated LHP Jamie Moyer. October 6, 2009 Philadelphia Phillies reassigned LHP Jamie Moyer to the minor leagues.